Free flight in Italy is strictly controlled by law. 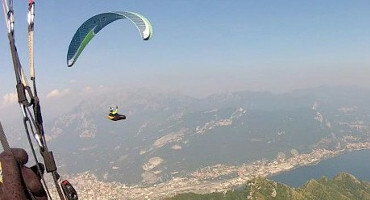 The following information reflects those requirements, to help foreign pilots coming fly in Italy to be aware of the rules governing hang gliding and paragliding practices. Disregarding these notes is not merely an unfair behaviour but rather a law infringement, with associated penalties. We remember to all pilots that every site has different features, and all attendees are warmly encouraged to follow with attention the specific indications, both for flight characteristics and site access, in order to avoid any possible quarrel with landowners. Life of our sites is strictly dependent from these relationships. There are in Italy approximately 180 hg/pg clubs, and they will have negotiated with landowners for permission to fly at the various sites within the locality, which will be subject to site rules. Before moving to Italy for a flying session, always contact in advance, through our web site, the clubs of the area in the region you are looking for. The sites managers can provide useful information, special restrictions for the time, season or events, sometimes avoiding you an unsuccessful trip: their indications must not be disregarded. According to the Italian law, you need a min. third party cover of about 500.000 euros, but it is strongly recommended a more suitable one of 1million euros. You should carry your IPPI card so that clubs can ensure that you are suitably qualified to fly their sites: min requirements, level 4 for Cross Country flying.